Home|Floral Library|Jasmine – Jasminum spp. Decorative Life: Plant can survive for weeks to years, depending on the environment. Flowers mostly in summer but may flower throughout the year if conditions are favorable. Native to tropical and sub-tropical areas throughout the world. Common relatives include olive, privet, ash and lilac. Flowers star-like to 1 inch across, in clusters. Stems woody and mostly vining. Flower fragrance is sweet, intense. 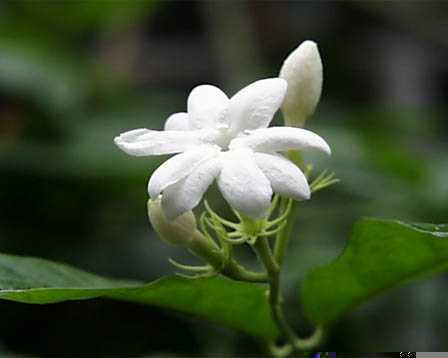 Jasminum, ancient name of Arabic origin.